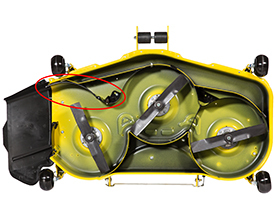 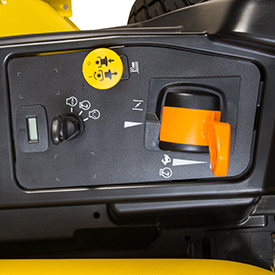 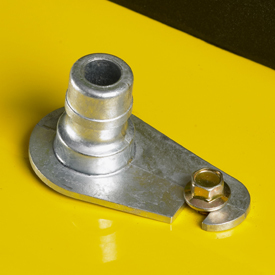 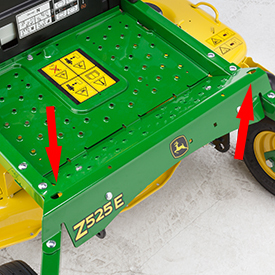 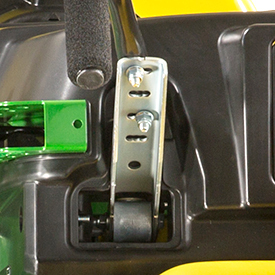 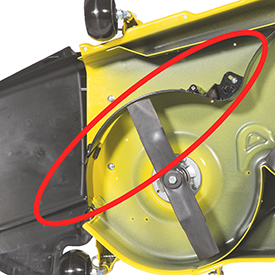 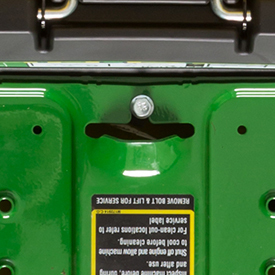 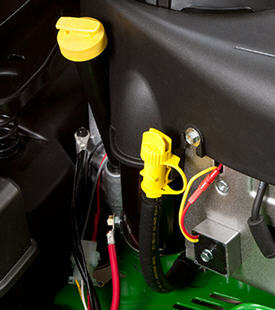 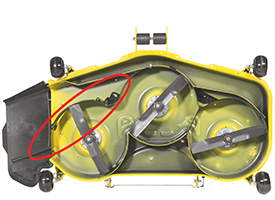 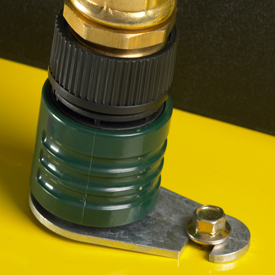 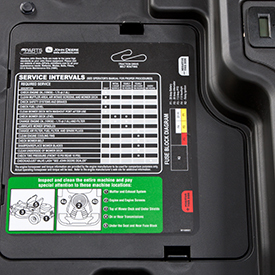 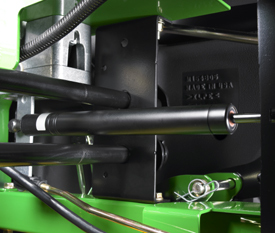 The red arrow indicates the socket included on the cut-height pin that can be used for the operator to use when making a tracking adjustment. 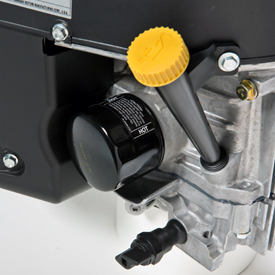 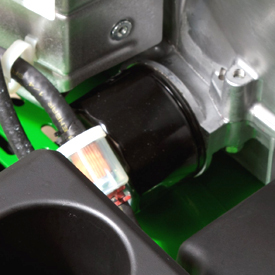 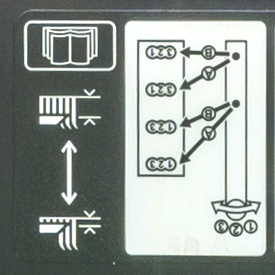 A choke position is built into the engine speed control (525E, Z535M). 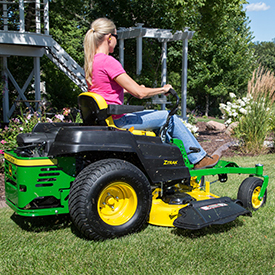 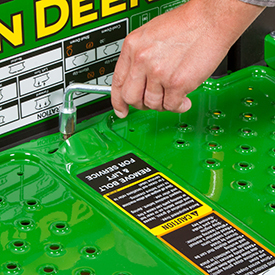 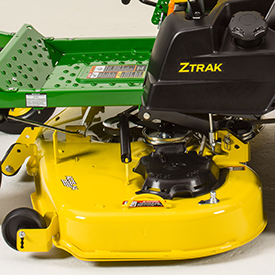 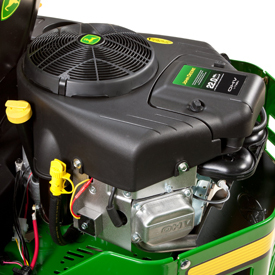 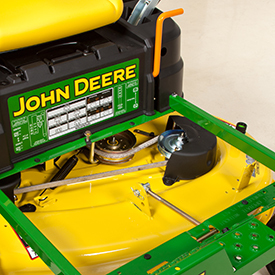 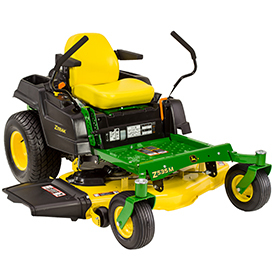 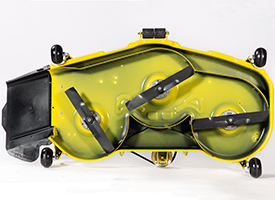 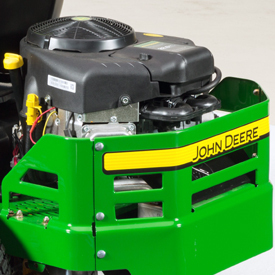 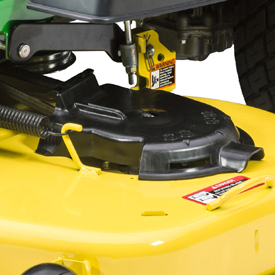 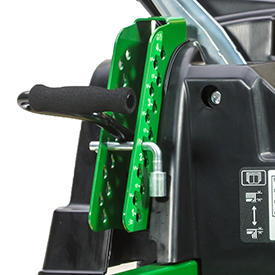 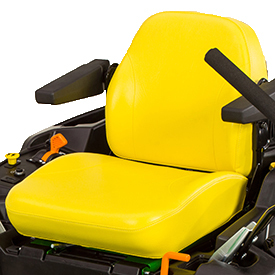 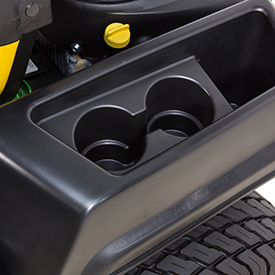 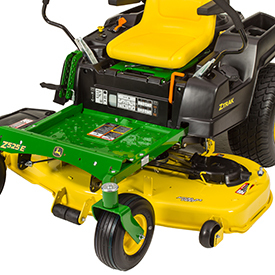 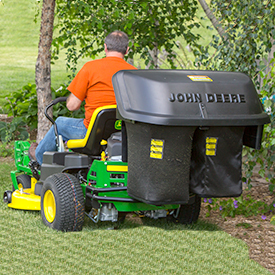 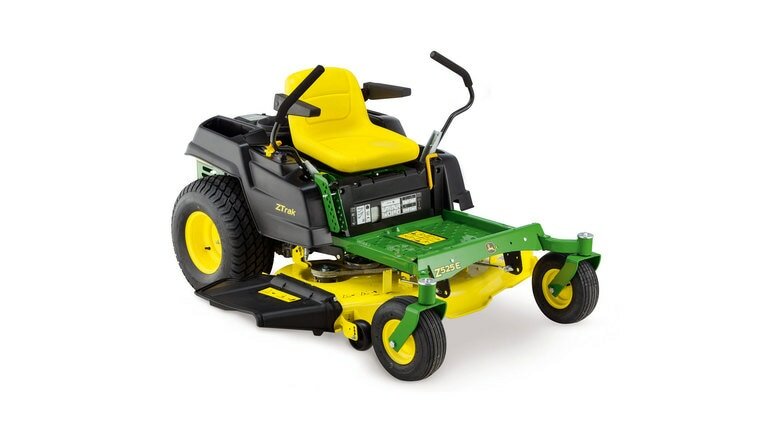 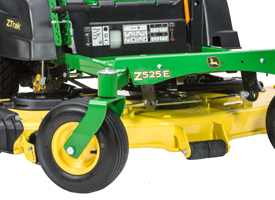 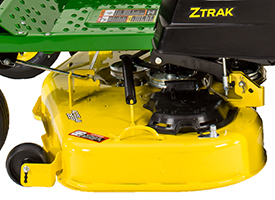 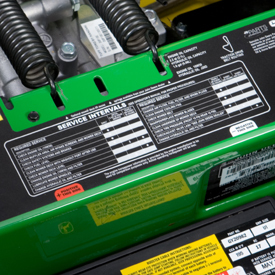 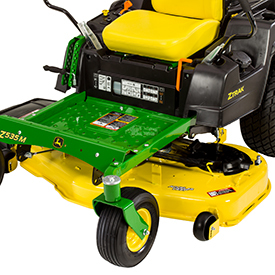 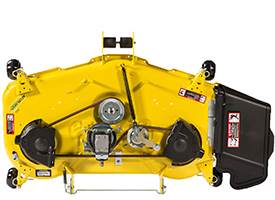 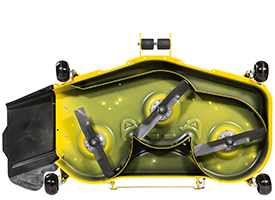 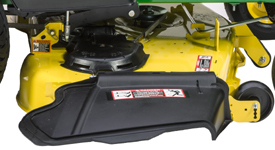 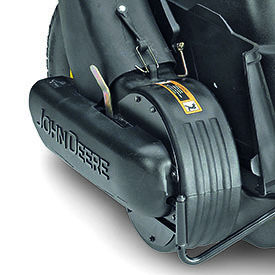 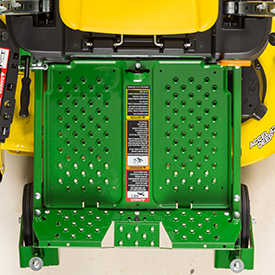 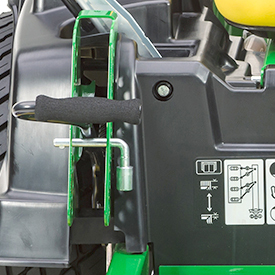 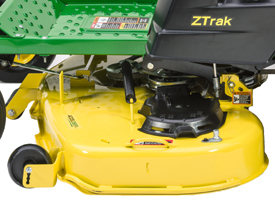 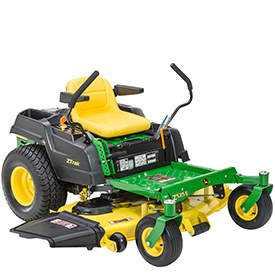 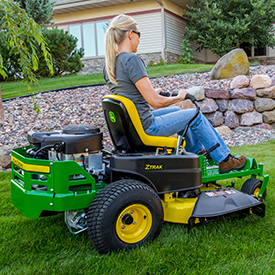 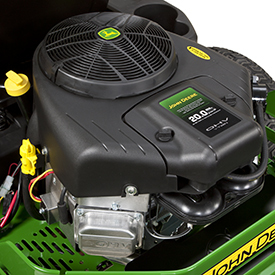 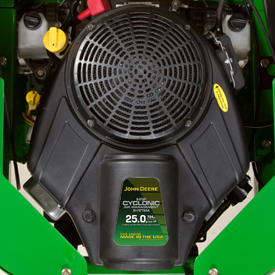 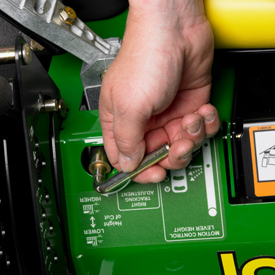 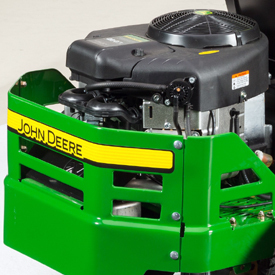 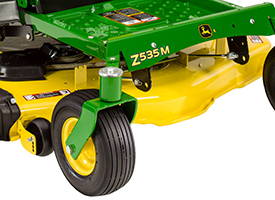 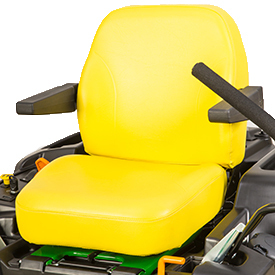 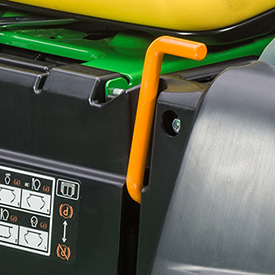 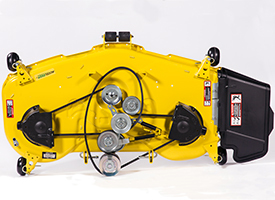 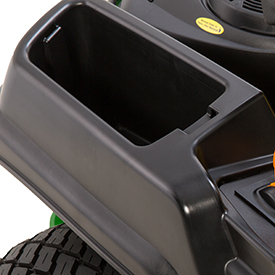 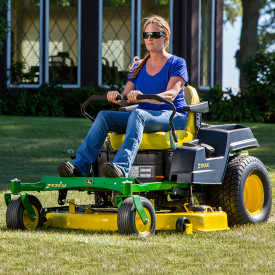 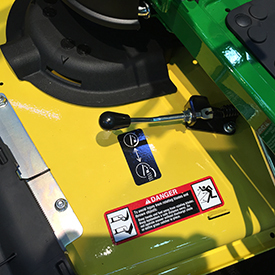 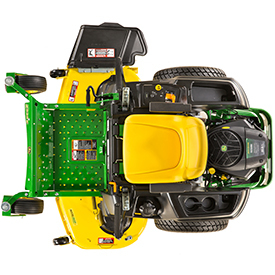 Mower-deck adjustment has built-in memory so the operator can easily return to the desired cutting height after raising the deck. 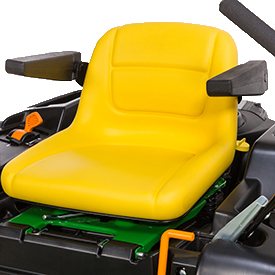 Seat back height Medium back with armrests, 15 in. 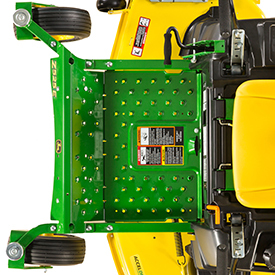 Width with mower 48A - 62.6 in. 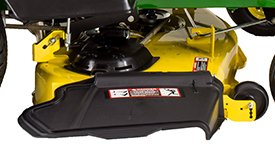 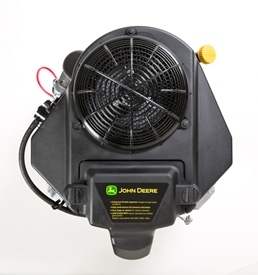 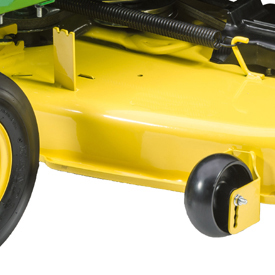 Width with mower (deflector raised for storage) 48A - 54 in.